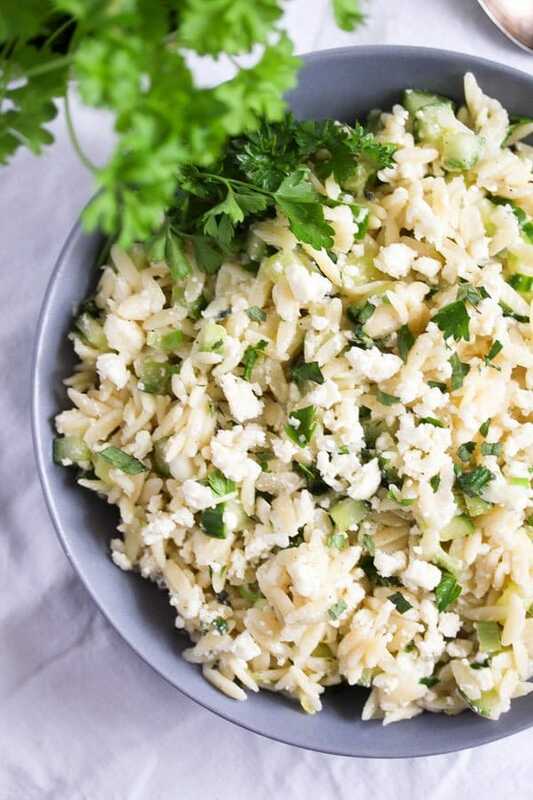 A fresh tasting and easy to make Greek style Orzo Pasta Salad with cucumbers, feta, lemon and lots of herbs like parsley and mint. We grilled on Friday! Last Friday, that is one week after we had a snowy Friday. The Friday before last there was Christmas on Easter and this Friday we had like 20 degrees Celsius. Not quite normal, I would say, but still we were soooo happy to have such a sunny warm day so early in spring. So we decided to take this chance and have the first and probably earliest ever barbecue party in the garden. Why this intro about grilling? 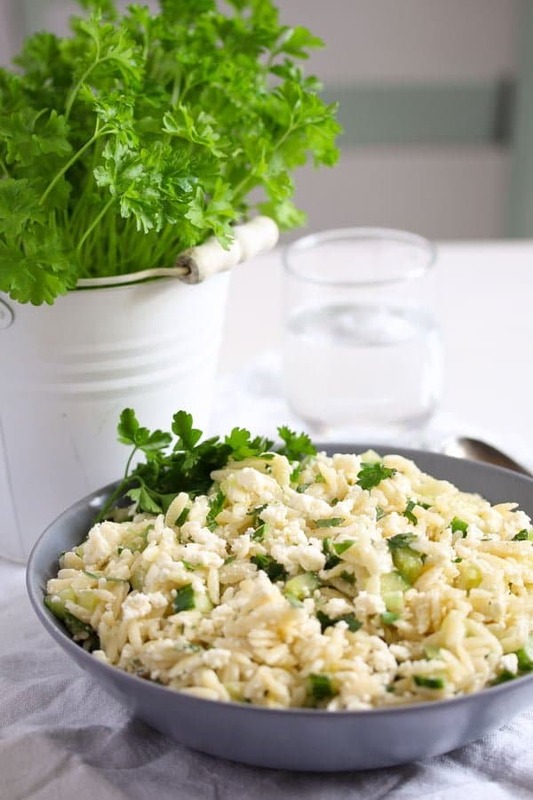 Because one of the things we ate alongside the meat was this wonderful Orzo Pasta Salad with Cucumbers, Feta and Mint. 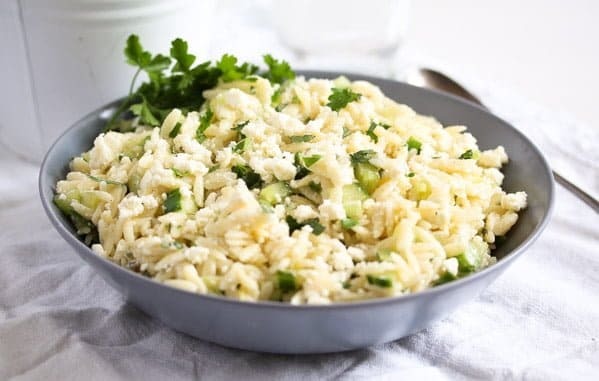 I had an open bag of orzo pasta and wanted to make a pasta salad, so I searched for a recipe on Pinterest and found this one. 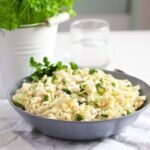 It was so simple and so good I just had to post it as soon as possible in case somebody will be searching for a pasta salad for their own first grilling opportunity this year. 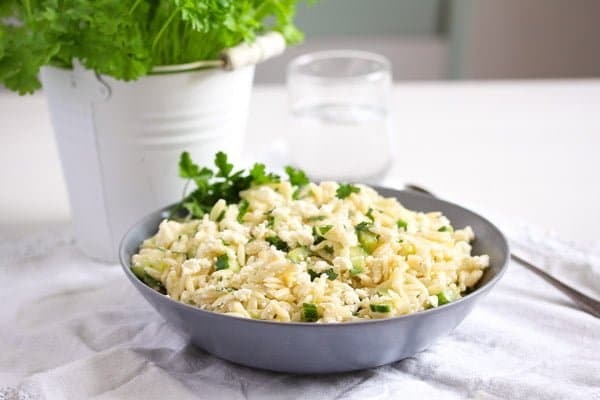 I made quite a lot of this Orzo Pasta Salad with Cucumbers, Feta and Mint and we had some other things to eat as well, for instance this amazing Romanian Garlic Dip with Sour Cream and Tomatoes and a Simple White Cabbage Salad – Romanian Recipe, so there were leftovers. So happy about that! I think the salad tasted even better the next day. 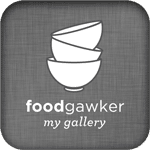 This is the link to the original recipe, a wonderful blog called Fork Knife Swoon. Cook the orzo pasta according to the packet's instructions. Drain, let cool for a few minutes, place in a bowl and mix with the olive oil until lightly coated. Deseed and chop the cucumber. 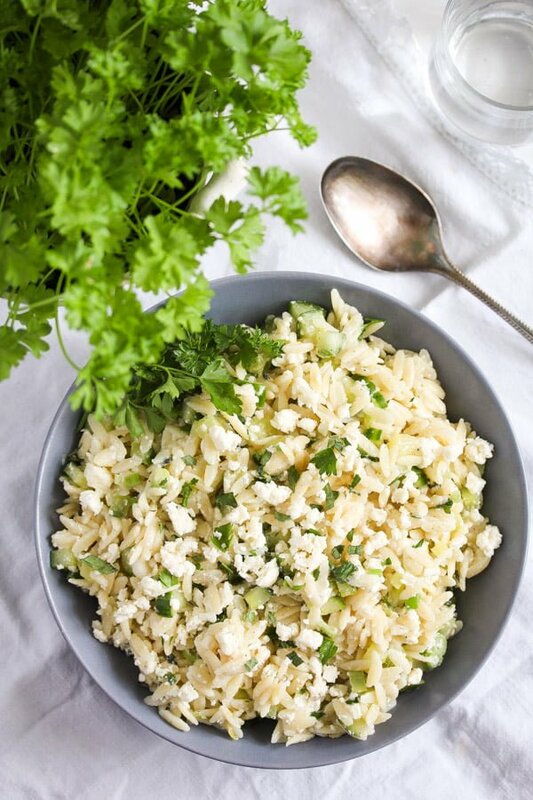 Add to the pasta bowl together with the herbs, feta and lemon zest. Add lemon juice to taste and keep what is left, you might want to add some more of it to the salad just before serving. Add salt and pepper to taste, cover the bowl with plastic foil and place in the fridge for a while. Just before serving adjust the taste again with some more lemon juice, salt and pepper. I find the salad tasted even better the next day.